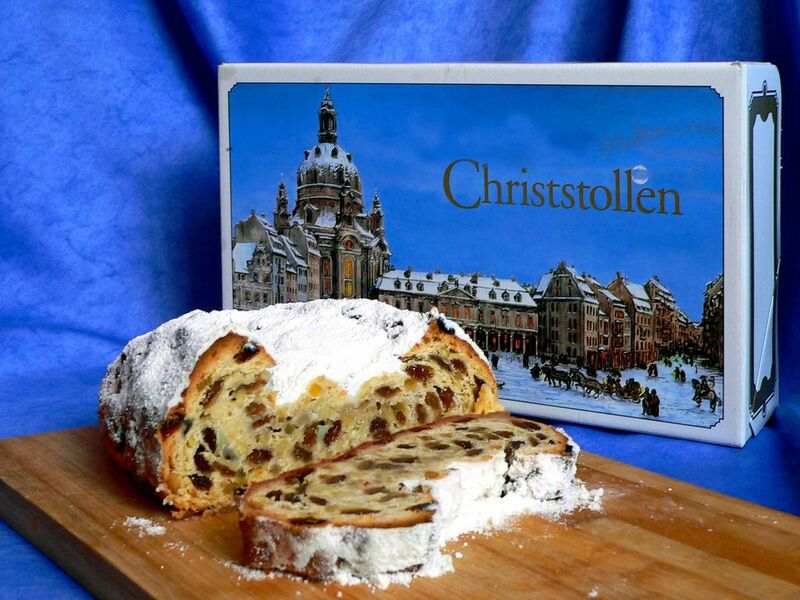 November also sees the start of Christmas markets in Europe, something which many people get very excited about, us included. That essence of fairy-tale magic in the air, the prospect of soft white snow makes the biting, crisp chill tolerable, while the colourful lights, the hot chocolate & mulled wine, the roasted chestnuts, and the warm atmosphere makes visiting a Christmas market one of the nicest ways to spend an evening between now and the new year. There are plenty of well-known and famous European Christmas markets & destinations, and there’s even more blogs and articles raving about them. 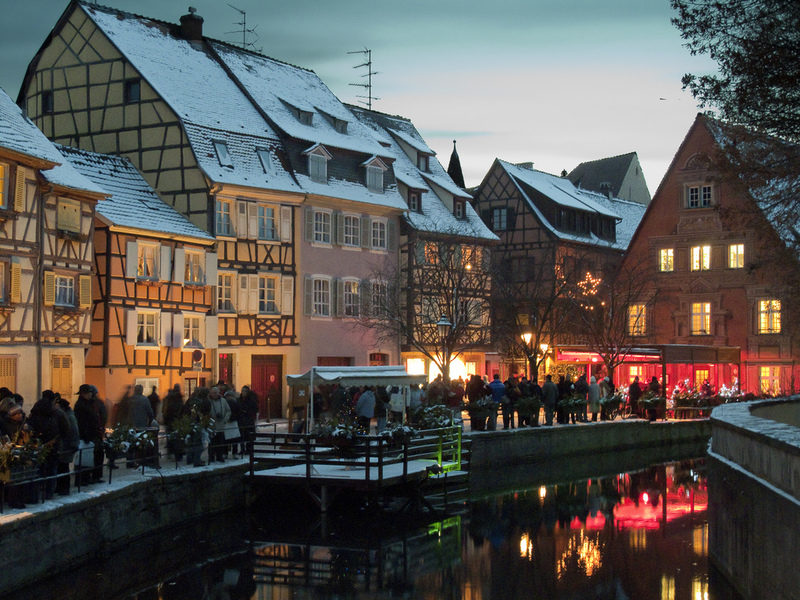 So, rather than add to the pile, we’ve decided to bring you a little list of our favourite lesser-extolled Christmas markets in Europe which are just as good, if not better, than the ones you’ve surely heard so much about already - and in beautiful cities too that make for perfect Winter breaks & weekend getaways. With top quality hostels to book cheaper than on other hostel sites, wherever your Christmas market journey takes you, HostelCulture.com is where it begins. This might surprise those of you who don’t actively keep up to speed on your Christmas market trivia, but the Croatian capital, Zagreb, has been enjoying well-deserved accolades for their Christmas markets in recent years, including such honours as best Christmas markets, and most beautiful Christmas markets. From humble beginnings, it has improved its scale & offering year after year to include live music & dance, local delicacies, fantastic stalls & crafts, and a Christmas fair, as well as having an exciting and friendly atmosphere. So Zagreb should, perhaps, now rightfully be spoken of in the same breath as the more well-known destinations like Prague, Budapest, or Munich when it comes to Christmas markets. Hostels in Zagreb, look & book now with 5% discount – cheaper than other booking sites. 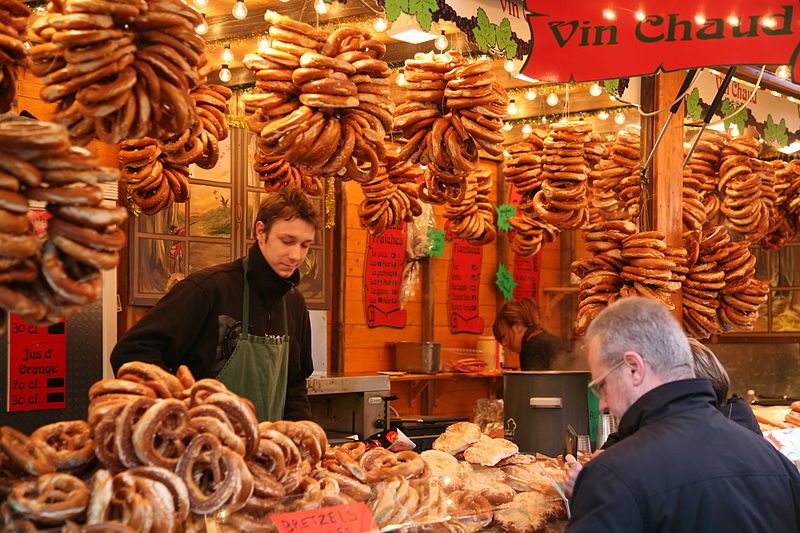 When it comes to Christmas markets in Europe, there’s no denying that Germany is the daddy. And while the likes of Berlin, Munich, and Nuremberg enjoy much popularity, we’re surprised how little coverage is afforded to Dresden Christmas markets. Dresden’s Striezelmarkt, in Altmarkt Square, is the oldest Christmas market in Germany, this year seeing the 583rd, and it’s still one of the most traditional too. You can enjoy delicious local food fare, including Hefestriezel - a centuries-old sweet Christmas cake now known as ‘Dresden Christstollen’, and, of course, the famous German gingerbread. I want it all! There are in fact 11 different Christmas markets to enjoy in Dresden in 2017, each offering unique crafts and themes. The character of this beautiful, historic, Baroque city, makes it one of the most charming places to visit at any time of the year, but it really takes on an extra special something when the Christmas lights come on and the buzz and vibrancy of the markets enchants the local spirit. 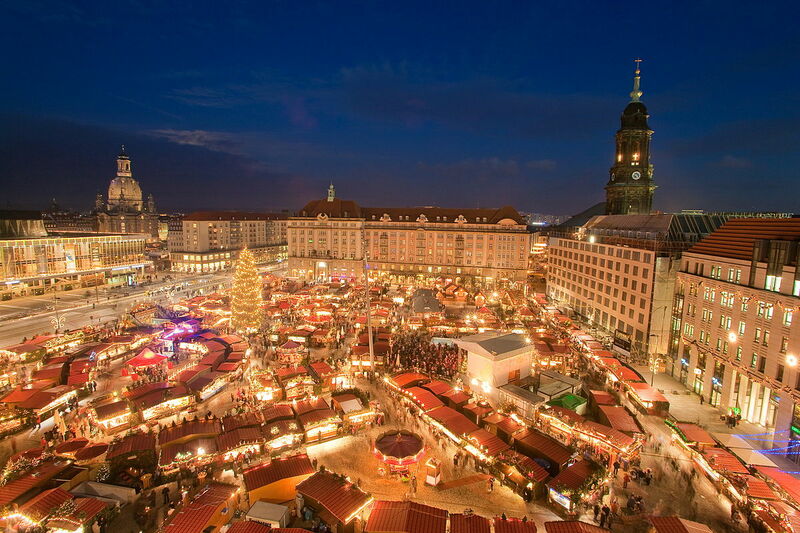 If you’re a Christmas market fan, Germany is your mecca, and Dresden should surely be in our plans. Get 5% off the price of all our hostels in Dresden, and in Germany. The first semblance of an advent market in France dates all the way back to the 12th century when a Saint Nicolas market was held every 6th of December, and the first French Christkindelsmärik, or Christmas markets as we know them, were in Strasbourg in the year 1570, making this one of the oldest in all of Europe; and it is still one of the nicest on the continent to this day. Strasbourg locals proudly consider the city to be the ‘capital of Christmas’, and with over 300 wooden chalets offering crafts, decorations, local food produce like bredele cakes, and lots more spread across this beautiful place, who could argue with them?! France is world-renowned for its cuisine, and Strasbourg certainly doesn’t disappoint on that front, especially not at Christmas – the food game is strong at all of the markets here; you can taste your way through the city, enjoying spiced bread, sauerkraut, bredele cake, nougat, pastries, and knack – a delicious truffle sausage also known as ‘truffée d’Alsace’, among the many local delicacies. And the setting for these markets is a real treat in its own right too; traditional half-timber houses, canals of the quaint Petite France quarter, the former Imperial Palace and national Theatre in the UNESCO listed New Town, and the incredible gothic Cathedral are just a few of the highlights that make Strasbourg a most worthy city to visit. 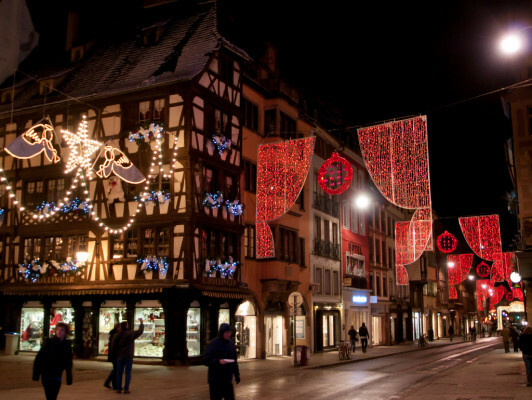 Bonus recommendation: If you have the time and means, we highly recommend a jaunt to Colmar too; an incredibly beautiful & picturesque town in the North-East of France which hosts 180+ stalls across 5 wonderful Christmas markets in the immaculately preserved Old Town. The magnificent Rynek Glowny square in the historic Old Town of Krakow hosts the Christmas market each year. The chalets and stalls offer the expected Christmas market fare – crafts, clothes, jewellery, decorations, wooden-toys, entertainment, art, local food and hot wine, and so on, but the really special element of this particular Christmas market is the setting. Flanked by incredible Gothic and Baroque architecture and medieval walls, the market in this large square in Old town is watched over by St. Mary’s Bascillica, Wawel Castle & Cathedral, and Renaissance palace, the setting really is hard beat. 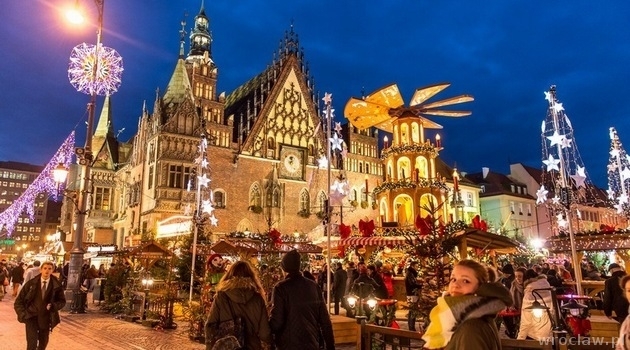 Bonus recommendation: If you have enough time in Poland, you could do a lot worse than to venture to its fourth largest city, Wroclaw, where the Christmas market runs from 17th November to 22nd December and offers a fantastic array of traditional food and confectionary, chocolates & gingerbread houses, both from Poland and around the world. Wroclaw is a very beautiful city and really embraces the spirit of Christmas markets, creating a very lovely atmosphere and beautiful picture postcard scenes. We might not all have been fans of their sprouts on our Christmas dinner table as children, but we surely can’t get enough of their Christmas markets. 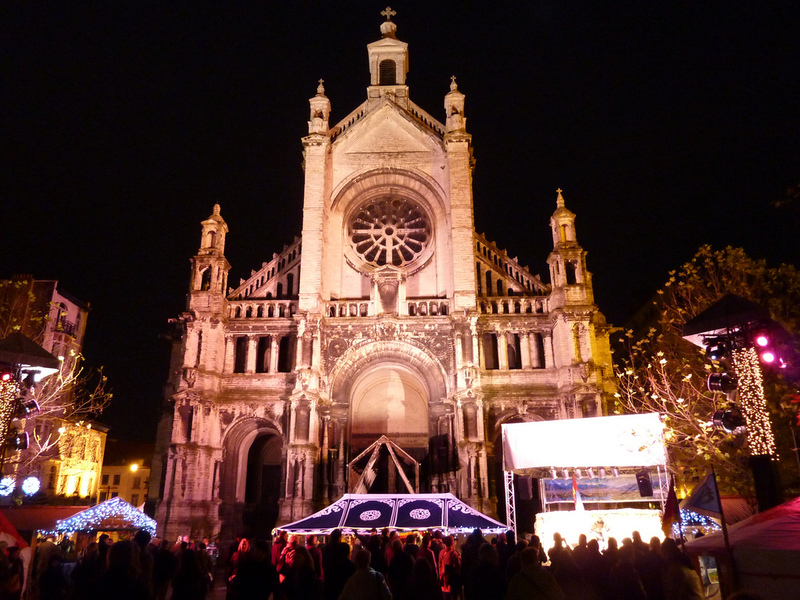 Brussels goes all out for Christmas, and the city centre takes on a whole winter wonderland atmosphere as more than 200 chalets and stalls are set up alongside an ice-rink, Christmas fun-fair, huge Christmas tree & lights, light parades, live musical entertainment, and much more. 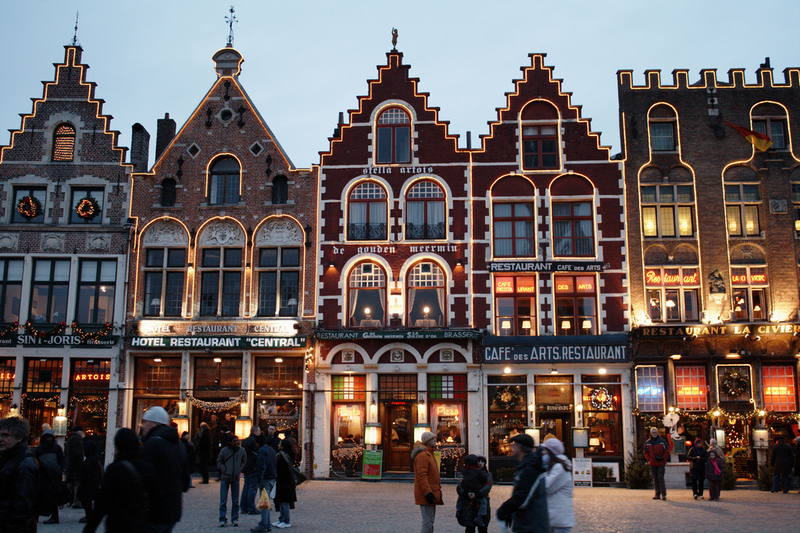 Bonus recommendation: If you have some time in Belgium, do yourself a favour and get to Bruges; the charming, cobblestoned town, dissected by canals reflecting the glistening Christmas lights, makes for a magical evening this time of year. 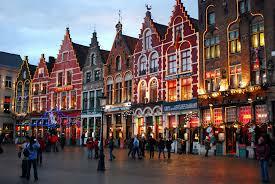 The Bruges Christmas markets run from November 24th to January 2nd this year . 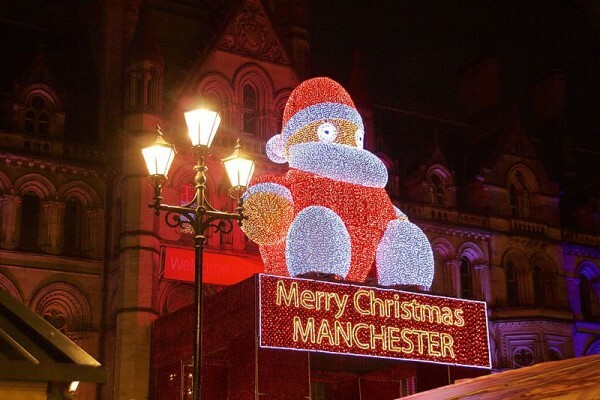 A fantastic alternative to the London Christmas Markets in the UK is Manchester Christmas markets. In ten key sites across this wonderful city there’s Christmas cheer and fun to be enjoyed, including markets in famous Albert Square, King Street, and the Corn Exchange, and an ice rink at the Cathedral gardens. There will be a visibly higher police presence at the Manchester markets this year, a measure intent on reassuring the public of their safety, but also a bleak reminder of the dark day that befell this city last May. The strength of indomitable character and community, resilience and fellowship, which came to the fore in the aftermath of that atrocity sums up the spirit of Manchester and its people, and if there’s any place that a Christmas spirit will be most formidable, potent, and meaningful this year, it will surely be in the great city of Manchester. Austria is very well renowned for high quality Christmas markets, and Vienna is probably the most celebrated city in that regard, but to overlook Salzburg is to do yourself a real disservice. The UNESCO listed Old City oozes centuries of ancient history and heritage, and every Christmas it takes on a magical sense of tradition and warmth as more than 100 wooden stalls set up for the Christmas market. As well as the usual top-quality Christmas market fare, Salzburg offers a lot of added attractions including Krampus parades (Krampus is a half-goat, half-demon creature from Austrian folklore who punishes children who have misbehaved – rather dark, yes) fascinating light shows, choral concerts & choirs, guided Christmas tours, and traditional music. Oh, and snow is almost guaranteed, which is always adds a nice touch to proceedings. Get 5% discount off hostels in Salzburg. The Danish capital is a popular destination for the Christmas market enthusiast, the traditional market in the Tivoli gardens is well renowned as the centrepiece of the city’s Christmas market efforts, but it’s not this market that has gotten Copenhagen on to our list. Instead, we’re all about the Christmas market in Freetown, Christiania. 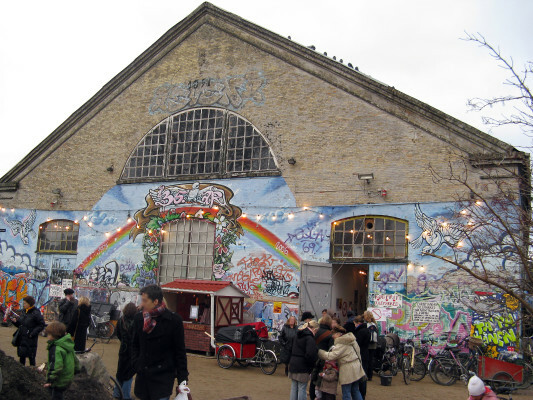 The freetown of Christiania was established in 1971, during the youth movement, by a group of young squatters in an abandoned military base which they declared to be beyond the reach of Danish law. The area and ideology flourished and today Christiania is home to more than 900 residents. It is also home to a great alternative Christmas market, not just an alternative to the main markets, but alternative in its style and offering. Held indoors, the market is quiet contained, intimate, and cosy in comparison to traditional Christmas markets. The delightful smells of roasted almonds and hot mulled wine blend and swirl in an irresistible concoction that accompanies you among the stalls selling jewellery, crafts, unique gifts, leather masks, and clothes, among other things, and live bands provide the soundtrack for a vibrant and unconventional Christmas market scene. Stockholm is a naturally Christmassy winter wonderland, and a fantastic city for traditional Christmas markets. 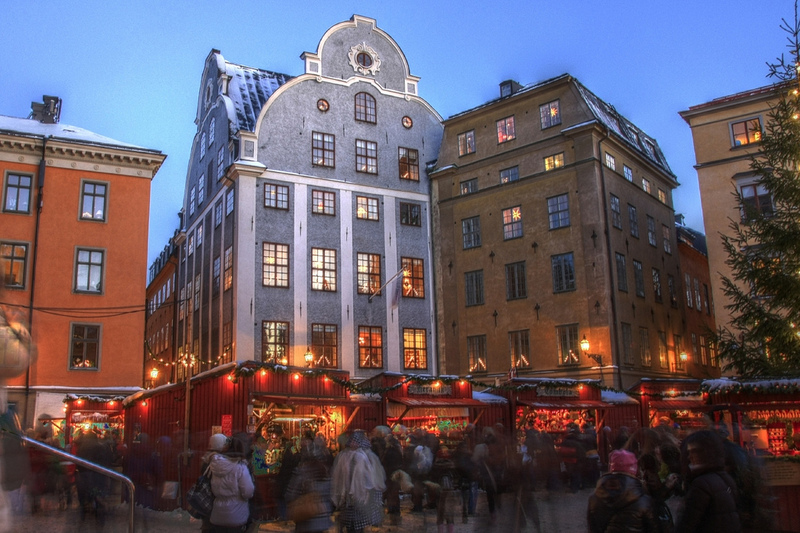 The market in Old Town, or Gamla Stan, occurs in Stortorget square, in view of the impressive Royal Palace and sees numerous characteristic red wooden chalets & stalls offering traditional Swedish crafts, toys, decorations, and local Swedish delicacies including elk and reindeer meat. Let’s hope Rudolph doesn’t notice. If you do find yourself in Stockholm, then definitely head to Skansen on Djurgården island. Skansen is an open-air museum & nature reserve park where you can witness the history & heritage of Sweden in very tactile terms, as life once lived is played out by real people in what is essentially a traditional village in real time and where you can see Nordic wildlife you’d scarcely be able to observe ordinarily. There is a traditional Christmas market here every year too, this year it takes place from 3rd November to 31st December, culminating in New Year’s Eve fireworks. 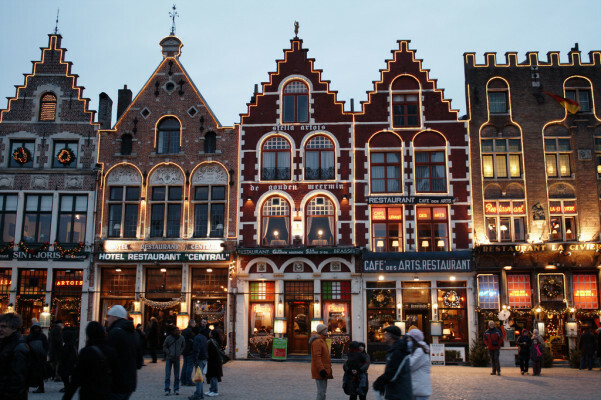 The traditional houses and market square are decorated, craftsmen put on traditional displays, while traditional Christmas dinner is set at tables, musicians play live music, and people dance around the Christmas tree in the town quarter. Well worth a visit for a unique and different kind of Christmas market experience. Look & book Stockholm hostels now and get 5% cheaper prices than any other booking site. That’s it Christmas market fanatics, our pick of 9+ Christmas markets to check out instead of the usual suspects. We ho-ho-hope you found it interesting and maybe even inspiring; and if you do decide to venture off for a winter break somewhere, save yourself a pretty penny and book your hostels cheaper than on other websites – you’ll definitely find something nice at the markets to spend the money on! Tell us in the comments about other Christmas markets you recommend that might not yet be near the top of your fellow traveller's to do lists. Written by Ray in Sweden while listening to Jimi Hendrix, the Pogues, Patti Smith, and Marilyn Manson.